Up for sale is this use AEM intake off a 1996-2000 DX. Nissan: Z34 370z (2009-2019). The 21-821DS Performance Cold Air Intake System produces horsepower and torque gains by replacing the restrictive air filter and air intake housing. 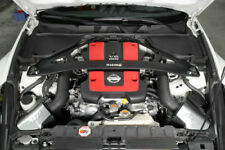 This air intake system was designed, tuned and dyno-tested to fit specific Nissan 370Z models. 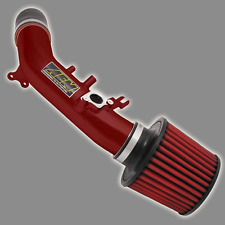 The AEM 21-819 Performance Cold Air Intake System replaces both the left and right side housings. Both banks uses an oval shaped AEM Dryflow Air Filter. The filter also provides excellent filtration and has great air flow. This air intake system was designed, tuned and dyno-tested to fit specific Jeep Wrangler models. Air enters the system through an extra-large AEM Dryflow synthetic. The AEM 21-8314DP Brute Force Air Intake System produce horsepower and torque gains by replacing the vehicles restrictive factory air filter and air intake housing. The AEM 21-750 Performance Cold Air Intake System produces horsepower and torque gains by replacing your vehicle’s restrictive factory air filter and air intake housing. This air intake system was designed, tuned and dyno-tested to fit specific Audi A4 and A5 models. This air intake system was designed, tuned and dyno-tested to fit specific Scion tC models. Air enters the system through an oversized AEM Dryflow synthetic. The AEM 21-569P Performance Cold Air Intake System produces horsepower and torque gains by replacing your vehicle’s restrictive factory air filter and air intake. 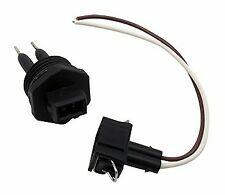 We are an authorized Distributor of AEM. The AEM 22-401R Performance Short Ram Air Intake System has been engineered to be an affordable and easy way to boost the horsepower and torque of your engine. The AEM AEM-21-743C Performance Cold Air Intake System produces horsepower and torque gains by replacing your vehicle's restrictive factory air filter and air intake housing. This air intake system was designed, tuned and dyno-tested to fit specific Ford Fusion models. This AEM Performance Cold Air Intake System produces horsepower and torque gains by replacing your vehicle's restrictive factory air filter and air intake housing. This air intake system was designed, tuned and dyno-tested to fit specific Chevrolet Malibu models. AEM Performance Cold Air Intake Systems produce horsepower and torque gains by replacing your vehicle's restrictive factory air filter and air intake housing. This air intake system was designed, tuned and dyno-tested to fit specific Chevrolet Cruze models. The AEM 21-8128DC Performance Cold Air Intake System produces horsepower and torque gains by replacing your vehicle's restrictive factory air filter and air intake housing. This air intake system was designed, tuned and dyno-tested to fit specific Ford F150 EcoBoost models. 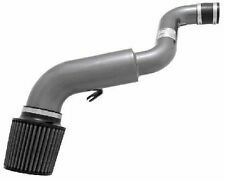 This air intake system was designed, tuned and dyno-tested to fit specific Ford F250/F350 Super Duty, F250/F350 Harley Davidson Super Duty and Excursion models. Air enters the system through an oversized AEM Dryflow synthetic washable air filter for outstanding air flow, filtration and performance. The AEM 21-747C Performance Cold Air Intake System produces horsepower and torque gains by replacing your vehicle's restrictive factory air filter and air intake housing. Air enters the system through an oversized AEM Dryflow synthetic washable air filter for outstanding air flow, filtration, and performance.